LG has a long history of making Android phones, but it was only last year when the company really started seeing its flagships succeed on the market with two big launches - first, its LG G2 focused on bringing the largest display of any flagship smartphone in a very compact for its screen size body, and then, Google picked LG to make the Nexus 5 out of that G2 blueprint. Less than a year after the G2, the time has come for a refresh - the new LG G3 is here, building on the tradition of the G2. The LG G3 not only has a large, 5.5” display, but it is also the first smartphone to sport a Quad HD (1440 x 2560-pixel) resolution, bringing a nearly 80% boost in pixel count and sharpness. LG’s new flagship also packs the latest Snapdragon 801 quad-core chip, a refreshed, 13-megapixel camera with better optical image stabilization (OIS+), and a brand new, flat and sharp user interface. Is this all a good enough reason to upgrade over the LG G2? Let’s look at the features in-depth to find out. The LG G3 is ‘metallic’, but not made out of metal - its polycarbonate body nonetheless feels well put together and its outwards appearance is sleek. 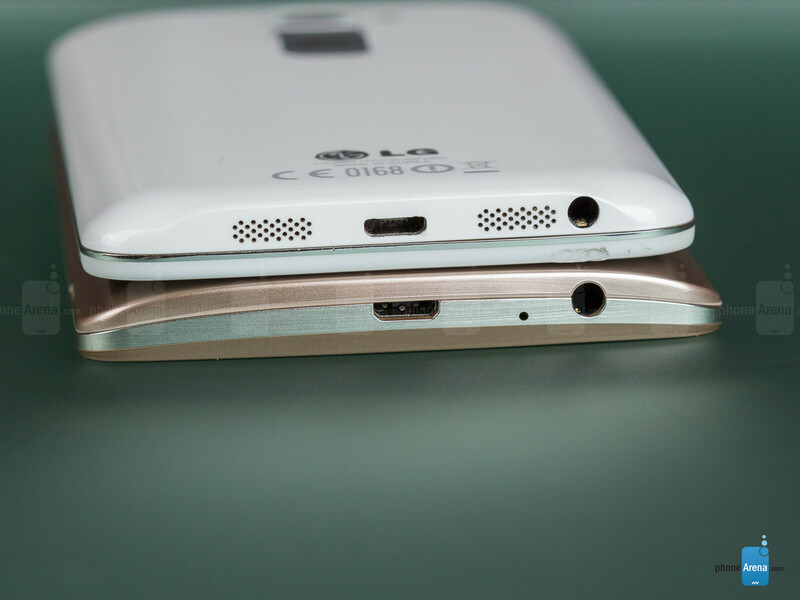 It’s noticeably bigger than the G2, though. The LG G3 is made out of plastic and you feel that the very instant you pick the phone up. What about LG’s claims that the G3 has a ‘metallic’ skin, though? It indeed looks ‘metallic’, and in fact, the finish appears very similar to the looks of the HTC One (M8), but - don’t get confused - it’s not real metal like in HTC’s flagship, it’s just disguised polycarbonate. In terms of construction, while last year’s G2 features a bit hollow build and a glossy plastic body that acts like a magnet for fingerprints, the G3 takes note and switches the glossy finish for a matte one that won’t smudge, plus its body is much more solidly put together. It’s admirable that LG managed to achieve this solid build, while also giving users the option to easily remove the back cover, swap batteries, and have access to a microSD card slot, along with the traditional microSIM. The elephant in the LG G3 vs G2 comparison room, however, is the size difference. 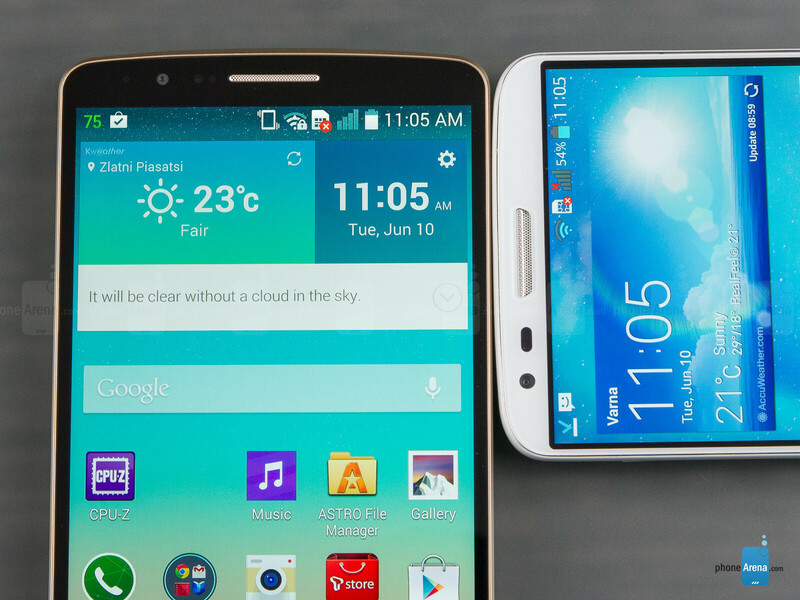 The LG G2 is compact-for-its-size, and so is the LG G3, but this isn’t telling much, since size itself has grown. In reality, the G3 feels much less wieldy and just harder to operate single-handedly. 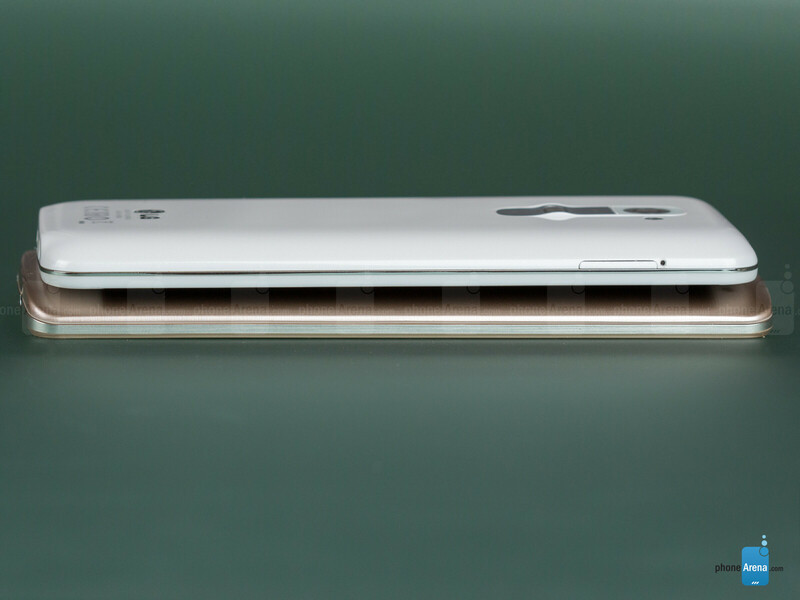 In exact numbers, the G3 is 0.15” wider (2.94” vs 2.79” on the G2) and 0.21” taller (5.76” vs 5.45”) than the G2. The difference in weight is negligible as both phones are not too heavy - the G3 tips the scales at 5.26oz (149g), while the G2 weighs 5.04oz (143g), and the two are equally thin at 0.35” (8.9mm), but it’s the more phablet-y feel of the G3 that one should really take into consideration. The 5.5” Quad HD display on the LG G3 is very sharp, but you’d need to stare at it from way up close to notice that. There are two notable things about the 5.5-inch IPS LCD display of the LG G3 - it has extremely narrow bezel, and it is the first to sport a Quad HD (1440 x 2560-pixel) resolution with a pixel density of the whopping 538ppi. As with any improvement in screen resolution, Quad HD makes smartphone screens clearer, “sharper”, and on the G3 this clarity is stunning. A Quad HD display has nearly 78% more pixels than a 1080p Full HD screen, a huge difference on paper. In reality, though, the perceived improvement is not all that big. While earlier jumps in smartphone resolution provided very noticeable improvement in the experience, getting us rid of jagged icons and pixelization, the higher resolution in the G3 does not provide any huge benefit when you look at the phone from a regular viewing distance (around 12”). A phone is used differently, though, and if you stare at the G3 from very close, you’d start noticing that it is indeed sharper. With sharpness on smartphones reaching this level when the eye just cannot see further improvements, we can - thankfully - switch our attention more to the quality of color reproduction. The LG G2 does not have a particularly accurate display - its whites look a bit bluish, and colors are oversaturated, a look that might impress at first, but is far from accurate. The LG G3, in comparison, is an improvement - it no longer looks all that noticeably blueish as the G2, with a color temperature of 7100K, close to the 6500K reference point. The G3, however, is not a complete fix in terms of display color accuracy, as the screen is still slightly oversaturated, but still more accurate than the G2. Outdoors, both handsets are a bit too reflective for convenient viewing, but the G3 is a slight step forward as it has the slightly higher peak brightness. Nope. To rich for my taste. I just want a G Wagon. Popping bottles in the iiiice, like a blizzard When we drink we do it riiiiight gettin slizzard Popping bottles in the iiiiice, like a blizzard When we drink we do it riiiiight gettin slizzard Sippin sizzurp in my riiiiide, like Three 6 Now I'm feeling so flyyyy like a G6 Like a G6, Like a G6 Now I'm feeling so flyyy, like a G6 (Come on, Come on!!!) Like a G6, Like a G6 Now I'm feeling so flyyyy, like a G6 Gimme that Mo-Moet Gimme that Cry-Crystal Ladies love my style, at my table gettin wild Get them bottles Popping, we get that drip and that drop Now give me 2 more bottles cause you know it don't stop (808) Hell Yeah Drink it up, drink-drink it up, When sober girls around me, they be acting like they drunk!! They be acting like they drunk, acting-acting like they drunk!! When sober girls around me, they be acting like they drunk!! ur welcome!!! What's wrong with people pointing out facts? Even in those pictures, you can see how superior the G2's screen is compared to the G3's. But yeah, according to your logic, GSMarena are the biggest haters out there. For the same reason Plasma lost to LCD's even though Plasma had better image quality- People want brighter screens. And given that people use their phones during the day, sometimes even outdoors, some of us need brighter. Is the 1440p screen upgrade worth the cons that it brings? I might not get this device not really sure. If the g3 came in 1080p with 3gb of ram it would be an instant buy for me. They should have had two versions one with 1080p screen the other with the new QHD screen but both with the same specs 3gb ram 801 processor etc. Just imagine, if battery life is very good with QHD, it would've ruled with FHD. 1440p resolution is overkill for sure, I prefer better brightness and contrast. None of the flagships really stands out , all of them lack something that would make them perfect. There'll be no reason for me upgrading my G2 to G3. Waiting for G Pro3 is the most safe bet. I have to ask when PA tested G2 battery life with what OS version. It doesn't seem to add up. Two phones with the same 3000mAh batteris, same generation chipset, but the one with larger, higher resolution screen wins by 30%? According to GSMarena G2 with KK beats G3 on browsing, video time by a lot. Even in real life, I see G2 lasting slightly longer than S5, M8. G2 is battery beast. I have to agree. It's something that I can't understand too. I read that review too. Apparently, browsing depletes G3 battery in less than 7 hours (that's very midrangerish). I would like to know more about PhoneArena's battery test, how that simulated real life usage is calculated. The thing is, as long as each reviewer is consistent with "THEIR" testing methodology, the differences between models should at least give you a clue about how one phone will perform versus another. My G2 rockz... No way I am upgrading to G3.. will wait for G4.. Agreed! That display needs work- or should I say brightness! They are not the same chipset though. 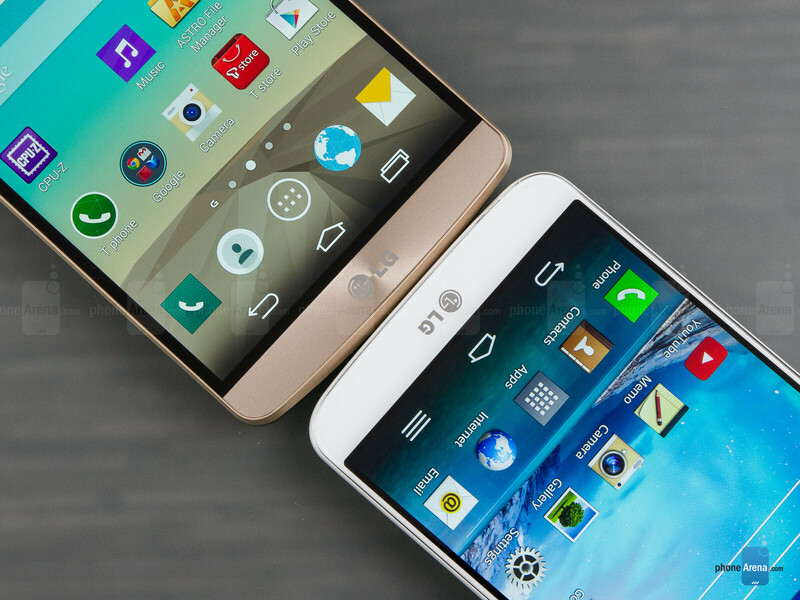 Snapdragon 800 in the G2 and Snapdragon 801 in the G3. Qualcomm didn't make a new chipset without improving it. Here's an article on it:http://www.anandtech.com/show/7846/the-difference-between-snapdragon-800-and-801-clearing-up-confusion Additionally, there was another review I read that mentioned they did something different to the display controller reducing the refresh rate when it's displaying static images or something to that effect? There is a lot of forward-thinking engineering going into making sure the battery life didn't fall short of the previous model. I didn't say it's the same chip but same generation. 801 is essentially the overclocked version of 800 with higher version eMMC, LPDDR3 supports. what would make it more efficient than 800? There is massive difference in display resolution that simply overpowers any slight gain in processor efficiency if any. That's why LG is doing 3A display optimization to save battery life. But I doubt it would make G3 outlast G2 by 30%. In real world testing, no one has proven yet G3 beats down G2 on battery. More often it's quite opposite. My only gripe with G3 is it's size, they should have kept it 5 inches with a shrunken body. G3 do you really want to compete with the Note4? So even though I just registered, I've been on this site everyday trying to figure out what my next phone will be. I've been waiting on this comparison as these are the 2 phones I'm contemplating. Of course the other part of me wants to wait until September for the Note 4 but I don't think I can wait that long. The lack of brightness on the G3 kills it for me, it's not worth me upgrading from my G2. Had LG kept the same dimensions of my G2, with even smaller bezels, kept the 1080p resolution- used the screen management and bumped up battery life instead of pixel density, I would have thrown full price cash at the G3. I'm not going to hold up a G3 and brag to my Samsung S5 rivals that I have Quad HD and have them laugh at the dim screen I'm holding. Really? LG you disappointed me. You rushed to bring a marketing gimmick that had more cons than pros, unless you only use your phone in a dim environment and don't compare it to your friends. G3 is an awesome phone, but so is the G2. The problem is some folks now have their G2s so modded out that they won't dare buy a G3. You can already shoot 4K, ultra slo-mo, and remove the on-screen buttons for extra screen space. Camera is already premium. So why would you buy a G3 even as nice as it is? 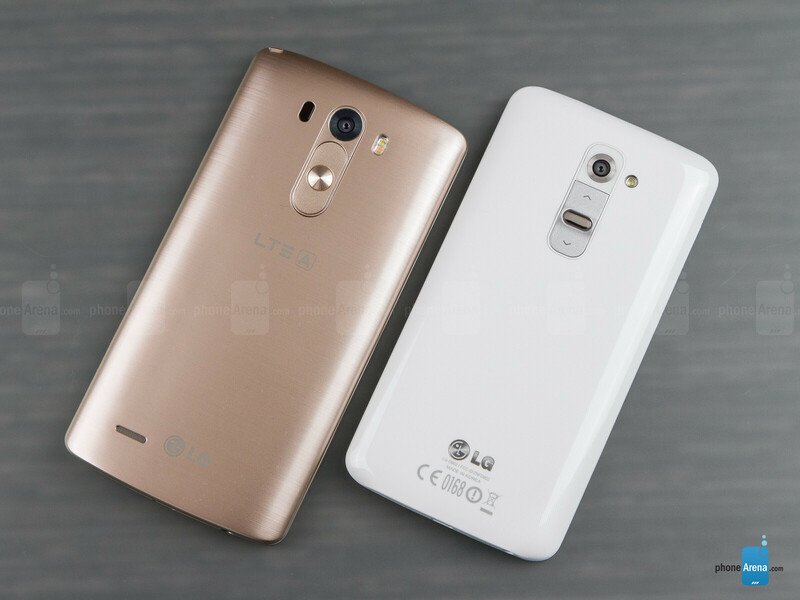 Hello guys need help which i would prefer lg g3 or g2 , i heard that g3 is overheating, is this so big problem ? ?